Pearl was a collaborative performance between Eric Clinton Anderson and Genevieve White. It was a meditation on the absurdity of choice overload, repetitive rituals, and the strangely human need to collect and order artifacts. 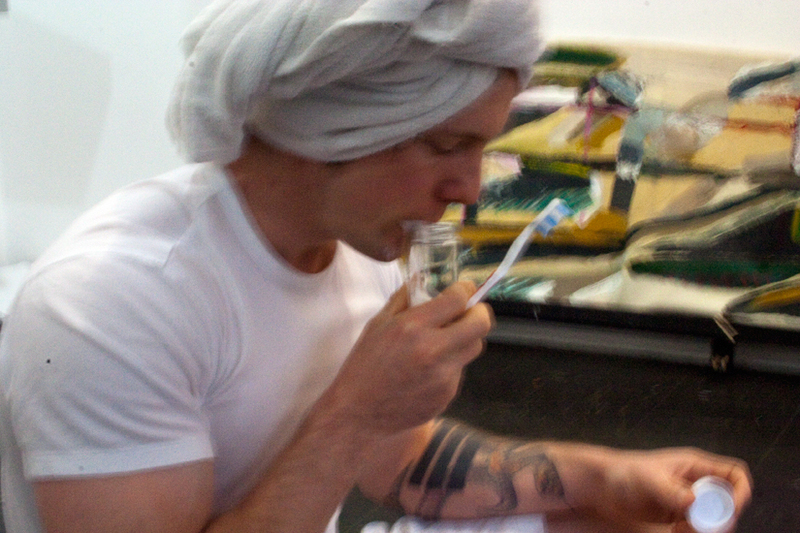 The performance involved six randomly selected varieties of toothpaste, twenty minutes, and twelve specimen jars. Each toothpaste variety was used for approximately two minutes. The spittle produced by each type was deposited into a labelled specimen jar, creating a physical record/artifact of the performance.